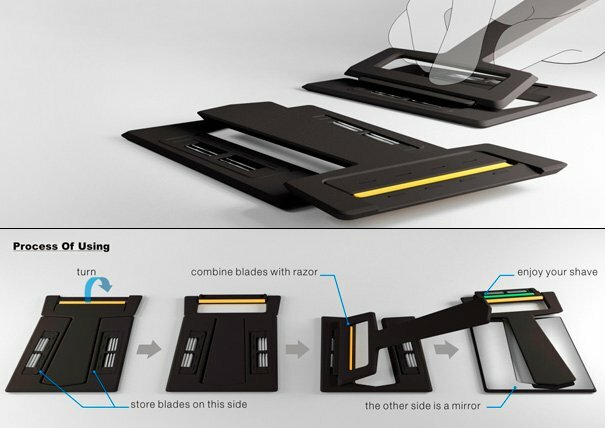 It is a card, a mirror and a razor, it can be all the above at the same time. 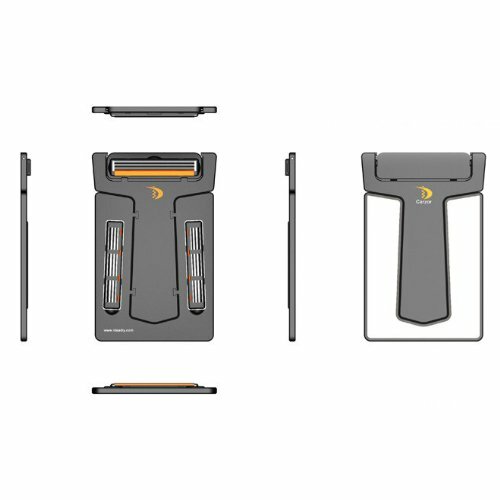 The blades are stored safely behind the mirror while it’s in your pocket, and it’s easy to use. This quirky design really meets the needs of men on the go who recognize there won't always be time to shave in the morning. What does one do when they turn up to work scraggly faced? Simply whip out this bad boy in the bathroom and remove the offending hairs. When you detach the razor part of the card, the rest can be used as a mirror, and it will fit snugly in your wallet. You can even choose how to scent the razor- with mint, sandal, lemon, ocean, and orange on offer. 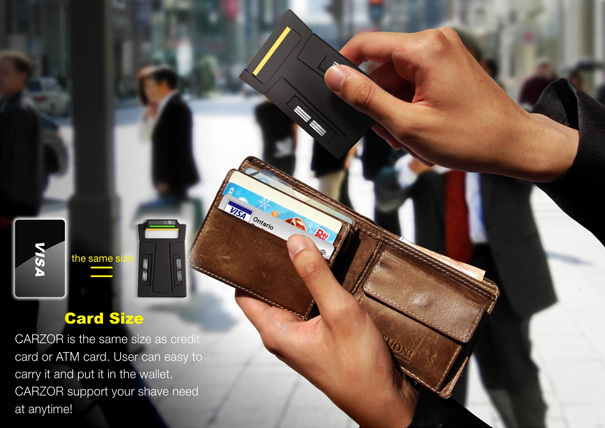 Ultra-thin design, credit card size, small enough to put in a wallet.